I was NOT happy with my September Sephora Play. It was just a bad box and left me feeling frustrated. I decided not to cancel my subscription immediately but see what my October box had in store. And thankfully October delivered. While I might not buy every product I got I can honestly say I liked it all. My Sephora Play subscription is safe for now. I actually missed my perfume sample when I didn’t get one in September’s box. This Tory Burch perfume is named after the Côte d’Azur and takes its scent inspiration from that. This perfume is very citrusy and a little sharp. I don’t love it but I don’t hate it either. 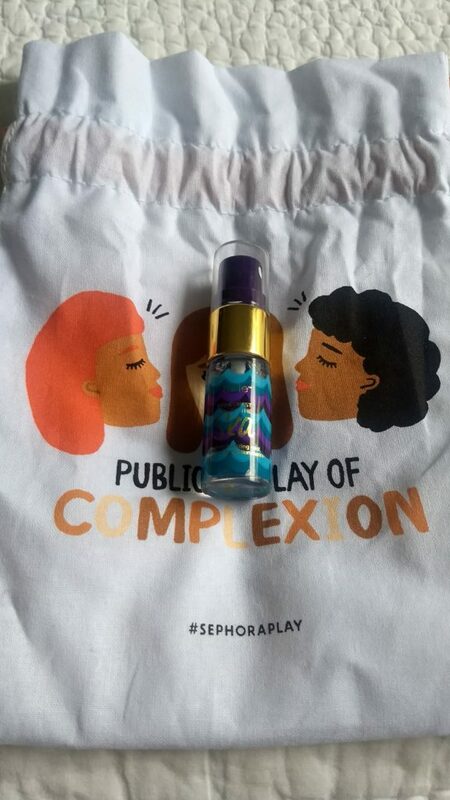 I was also a little confused by the Sephora Play team’s decision to include a summery fragrance in a fall box. It seemed like last month Sephora Play was paying attention to the colder season when I got two thick moisturizers. I would have liked a more fall themed perfume but as it stands I don’t mind the Tory Burch perfume. I’ve only ever used Urban Decay’s Naked palettes but I’m pleasantly surprised by their primer. The Optical Illusion primer hides and fixes a lot. Normally I have to use a green color corrector after I put on primer but this stuff hides my pores and makes my skin look even and glowy. It’s so good I could wear this primer on its own without makeup and my skin would look good. My makeup went on evenly and this primer didn’t make my face break out or leave me an oily (oilier) forehead. At $34 it’s expensive for a primer but it might be worth it. It’s been a while since I’ve gotten a skincare product that I was actually excited for. 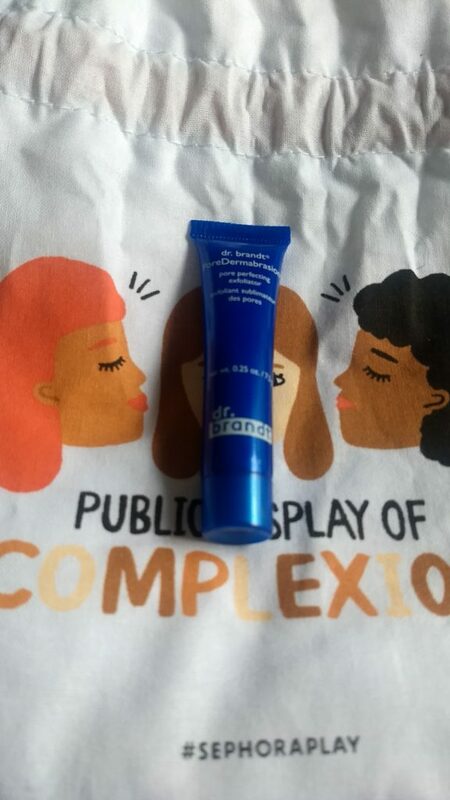 I was very excited for this Dr. Brandt exfoliator. I love a good exfoliation and probably exfoliate too much but I read the directions on this product and didn’t exfoliate for a few days in preparation. I used this in the shower so the steam opened up my pores and when I got out I could actually see a noticeable difference. My skin looked a lot better. I like to concentrate on the skin on and beside my nose because that where I feel my pores are the biggest. Dr. Brandt closed them right up. That being said I already own a few exfoliators and I’m not going to give them up. Dr. Brandt’s Pore Perfecting exfoliator is just going to have to wait. Serums are a nighttime only thing for me, until now. This Make Up For Ever serum is meant to be used before you apply makeup, an extra step to prep the skin. I love my skincare and surprisingly hadn’t integrated a morning serum into my routine. I’d tried when I was 100% on the K-Beauty train and followed the regiment to a T (I still love k-beauty don’t worry) but it never sat well under makeup, making my face shiny and oily. 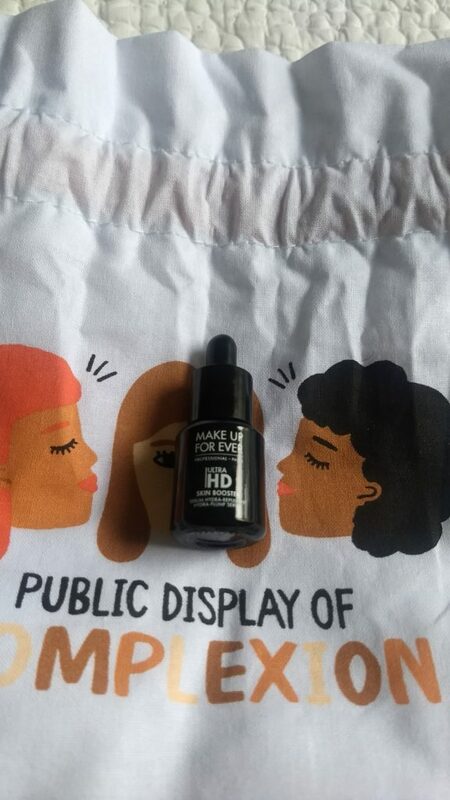 Luckily this serum is designed to be used under makeup and is super lightweight. I’m intrigued by the concept but I’m also kind of lazy and another step in an already long morning routine seems like a lot. This box came at the perfect time because I just run out of my other setting spray. Sephora describes Tarte’s setting spray as a multitasker because it primes, hydrates and sets. I gotta be honest, the hydrating part worried me a little. I wasn’t sure it would keep my makeup in place all day especially because I get oily and oily everywhere: forehead, nose eyelids. I don’t want my make sliding around my face. I was a little skeptical. I like doing my beauty research and when I was googling best setting sprays Tarte did not make my list. BUT this spray worked! My makeup did not budge. My eyeliner stayed on my eyelids and didn’t migrate to just below my brows and my foundation didn’t get all crease-y. This also has a light citrusy scent to it that was very refreshing but can be annoying if you’re someone who doesn’t like any fragrance. I liked this setting spray but I’m a drugstore beauty kind of gal so I’m going to have to pass. I was most excited for this product. 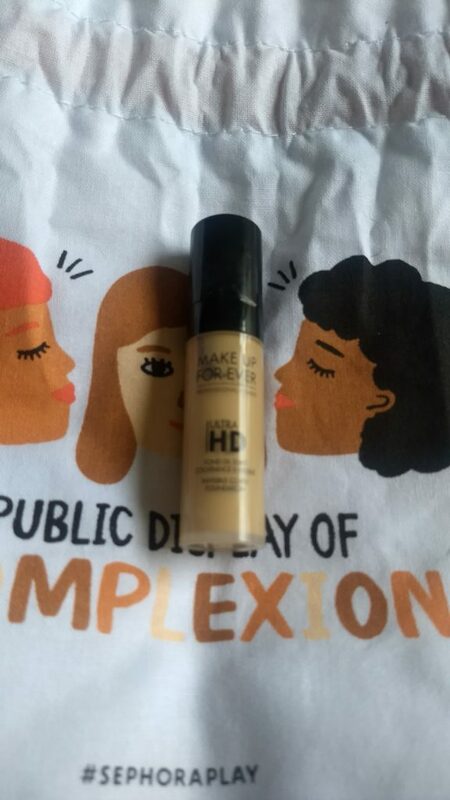 I’ve heard nothing but good things about Make Up For Ever’s foundation but the price point put it out of my budget because spending more than $20 puts it out of my budget. 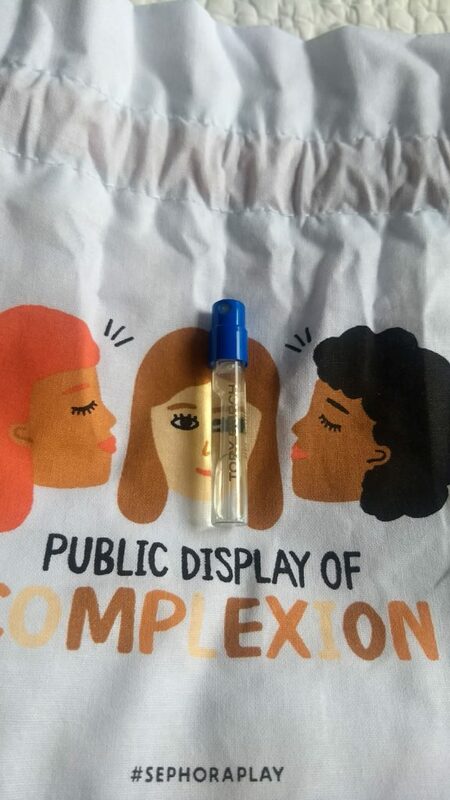 My biggest concern with this sample was that it wouldn’t match my skin tone. I never got my skin IQ at Sephora and my skin tone is marked as medium on my BI profile. Lucky for me this foundation actually matched my face. This is also a pretty hefty sample size. I’ve gotten at least 5 uses out of this so far and there’s still a lot left in the tube. I like that it looks natural and it goes on nicely with a beauty blender. 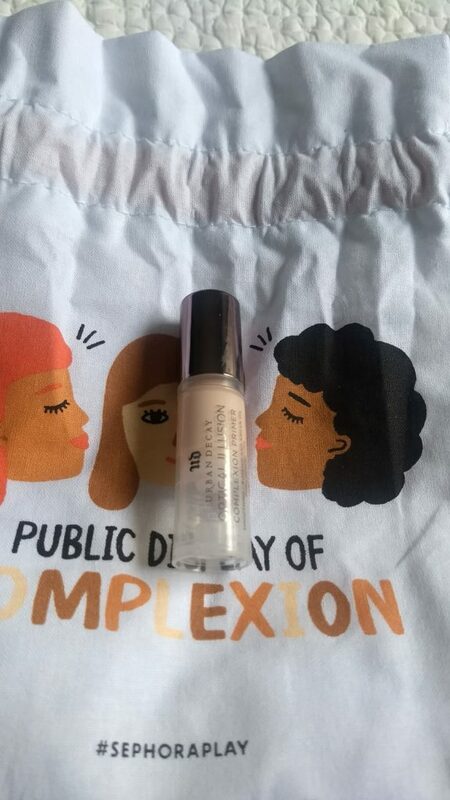 I don’t splurge on foundations very often and I like the drugstore one I’m using right now but if I was going to splurge I’d definitely buy this one. This box was much better than September’s and I’m excited to see what November’s brings. Next, I have some more reviews (it was my birthday) and a fun little project coming up.